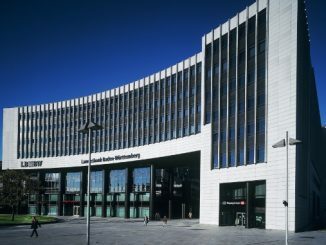 The European Commission will in May propose a sustainable finance taxonomy that will provide the basis for EU labels for green bonds to be introduced in 2019, it announced today (Thursday), among measures including changes to fiduciary duty and an exploration of a “green supporting factor”. The proposed measures form part of a European Commission action plan to establish a “greener and cleaner” economy and a financial system that supports the EU’s climate and sustainable development agenda. “Moving to a greener and more sustainable economy is good for job creation, good for people, and good for the planet,” said Frans Timmermans, first vice president, European Commission. “Today we are making sure that the financial system works towards this goal. 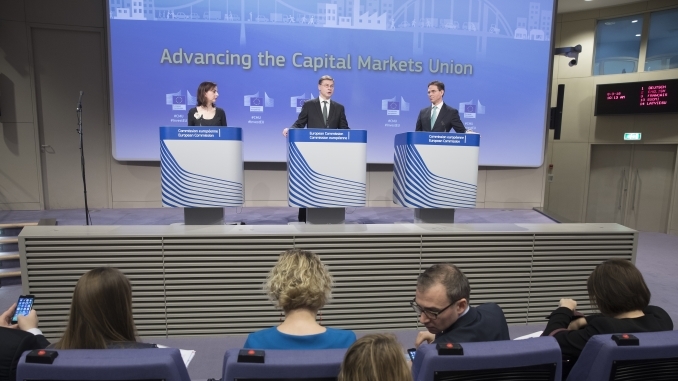 The strategy was presented at a press conference in Brussels today by Valdis Dombrovskis, vice president responsible for financial stability, financial services and Capital Markets Union (CMU), and Jyrki Katainen, vice president responsible for jobs, growth, investment and competitiveness. The action plan was informed by recommendations from the EU High-Level Expert Group (HLEG) on sustainable finance, which was appointed by the Commission last year and submitted a final report on 31 January. Among the key features of the action plan are the establishment of an EU classification system or taxonomy, to define what is sustainable and identify areas where sustainable investment can make the biggest impact, and the creation of EU labels for green financial products – such as green bonds and green investment funds – based on this classification system. The Commission said applying such “EU Ecolabels” will help to guide investors and flag financial products in line with the transition towards a sustainable economy. This taxonomy will be the core of the Commission’s future work in sustainable finance, said Katainen. “Unless we have European-wide taxonomy or classification in place, the market is wild,” he said. Katainen said sustainable financing has until now been private sector-driven, with the private sector setting market standards. “Now the legislator has listened to them, because they have said that it would be good to get a level playing field in the European-wide regulatory environment in order to boost competition in sustainable finance,” he said. In May, the Commission will present a legislative proposal on the development and governance of this EU taxonomy, subject to the outcome of an impact assessment. Regulation and related delegated acts establishing the taxonomy are expected to be adopted in the third quarter of 2019, as is the creation through legislation of the EU Ecolabel for financial products. The Commission has called for applications for a technical expert group on sustainable finance. This group will be set up in 2018 with a mandate to, among other tasks, issue a report on an EU Green Bond Standard, laying out the criteria and processes issuers should adhere to, including the use of the EU classification system, while building on current best practices. This report will be published in the second quarter of 2019, and will be based on the results of a public consultation. The Commission will publish another legislative proposal in May to clarify the fiduciary duties of institutional investors and asset managers relating to sustainability. Dombrovskis said the proposal will ensure these market participants work closely with their clients to consider sustainability in asset allocation and risk management. He said climate change presents risks, but also investment opportunities. “To navigate this landscape, the financial industry needs less focus on short term profit and more awareness and transparency about sustainability risks,” he said. Dombrovskis said the Commission also wants to improve information and access for retail investors. Financial advisors will be required to ask clients about their sustainable preferences and offer suitable investments, he said. The Commission said it will also explore the feasibility of recalibrating capital requirements for banks for sustainable investments, “when it is justified from a risk perspective, while ensuring that financial stability is safeguarded”. Dombrovskis said any such measures must be justified from the risk and financial stability perspective and carefully calibrated. “Green does not necessarily mean risk-free,” he said. This so-called green supporting factor has attracted support from some in the banking industry and elsewhere, but has also proven controversial, with some regulatory authorities and lobbying groups arguing against it, while Moody’s has warned its implementation could be credit negative for banks. Responding to a question from a journalist, who noted the Commission’s communication on the possibility of a green supporting factor sounded cautious, Katainen said if implemented correctly, lower capital requirements could encourage more capital to be directed to sustainable investments, but said caution is required for several reasons. “First of all, green investments aren’t necessarily risk free, so all investments must be assessed according to risks,” he said. “Secondly, we don’t want to do anything that would undermine financial stability. Good intentions cannot lead to instability, or a fake sense of security. The EMF-ECBC today welcomed the Commission’s commitment to explore the feasibility of lower capital requirements for green and sustainable assets, which it said is in line with its Energy Efficient Mortgages Initiative. In June, the EMF-ECBC and consortium partners will launch a pilot scheme involving a large number of European banks that will test an energy efficient mortgage blueprint at national level. The Commission referenced the initiative in its action plan, stating it will consider all evidence for a link between energy efficiency savings and mortgage loan performance while assessing the case for changes to prudential requirements. Dombrovskis added that the Commission can draw inspiration from an SME supporting factor that is already incorporated into capital requirements, and noted that some other investments – such as infrastructure and infrastructure corporates – also benefit from such treatment. “We are not putting a concrete legislative proposal on the table now, because discussions are already ongoing,” he said. The action plan will be implemented in multiple steps. The Commission will first focus on environmental and climate risks, Dombrovskis said, before moving on to social and governance issues. 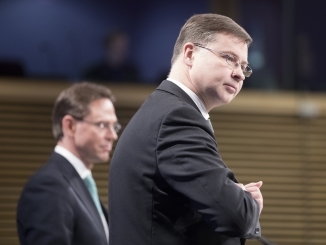 On 22 March, Dombrovskis and Jean-Claude Juncker, president of the European Commission, will host a high level conference on sustainable finance in Brussels, giving an opportunity to European leaders to discuss how they can follow up on the action plan. The Commission said its action plan follows up on all key priorities from the HLEG report, some with adaptations owing to legal and technical constraints, and proposes actions on most of the group’s other recommendations. Sean Kidney, CEO of the Climate Bonds Initiative, cited the momentum generated by the EU action plan and the HLEG report as an example for other governments. “A faster brown to green transition in the balance sheets of the world’s top 200 banks and 100 largest emitters is needed,” he said. “This vital shift requires new green standards and investment frameworks from governments and regulators to harness significant private sector capital towards global emissions goals. 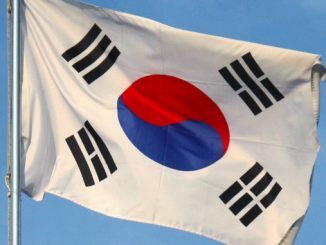 Korea Housing Finance Corporation (KHFC) will next week begin marketing an inaugural social covered bond – the proceeds of which will be used to support affordable housing – which will be the first sustainable covered bond from Asia. Deutsche Kreditbank is meanwhile set to sell a social debut tomorrow (Tuesday). 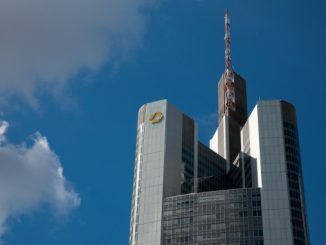 Commerzbank attracted as much as EUR1.25bn of orders from over 100 investors to its first green bond yesterday (Tuesday), a EUR500m five year senior non-preferred benchmark with proceeds earmarked for renewable energy financing.